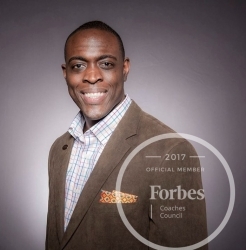 Fayetteville, NC, December 03, 2017 --(PR.com)-- Jamie Pendergrass, the CEO of Pneuma Empowerment Group, has been accepted into the Forbes Coaches Council, an invitation-only community for leading business and career coaches. Jamie Pendergrass joins other Forbes Coaches Council members, who are hand-selected, to become part of a curated network of successful peers and get access to a variety of exclusive benefits and resources, including the opportunity to submit thought leadership articles and short tips on industry-related topics for publishing on Forbes.com. Forbes Councils combines an innovative, high-touch approach to community management perfected by the team behind Young Entrepreneur Council (YEC) with the extensive resources and global reach of Forbes. As a result, Forbes Council members get access to the people, benefits and expertise they need to grow their businesses, and a dedicated member concierge who acts as an extension of their own team, providing personalized one-on-one support. “I am ecstatic about having this opportunity to join forces with such reputable thought leaders from around the world. This council will help me forge close relationships, serve our communities, and our industries at a great capacity. Through previous work, I been very fortunate to reach thousands. To now have an opportunity to reach millions is a dream come true,” says Jamie Pendergrass. The mission of Pneuma Empowerment Group is, “to enhance visions and transform dreams into realities.” Their philosophy says, “The words we speak are equal with the air we breathe. As oxygen empowers us with life, our words add value to it.” It is their goal to add value to you on a personal and professional level. Offices are located in Fayetteville, and Raleigh, NC. This is achieved through partnerships, mastermind training, live seminars, webinars, customized training programs to meet the needs of your business/organization, keynote speaking and so much more. For more information please contact Taneshia Kerr, President of Media & Marketing.